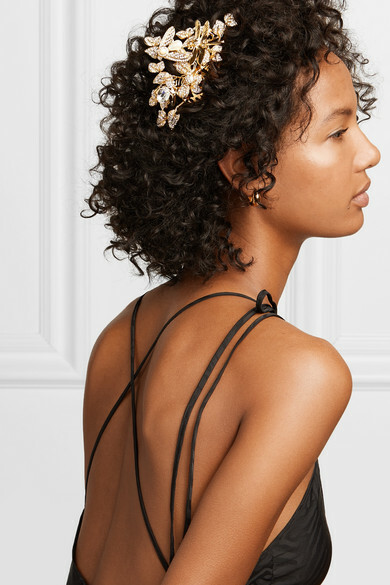 There is never a shortage of ornate hair accessories on Dolce & Gabbana's runways. 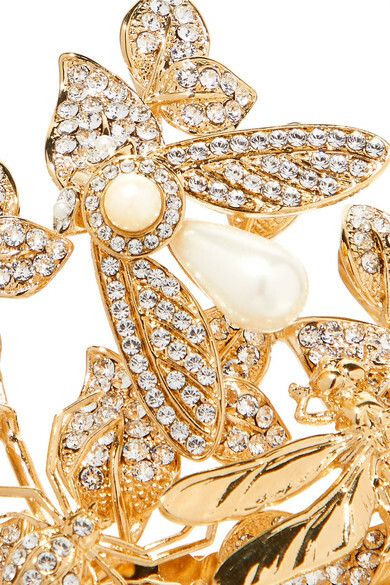 Made from polished gold-tone brass, this style is topped with light-catching crystals and faux pearls that form a dragonfly amidst delicate blooms. 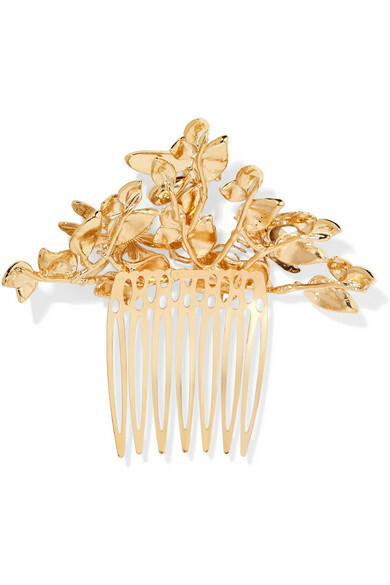 Use the comb to sweep tousled locks to one side. Shown here with: Attico Dress, Sophie Buhai Earrings.